Each year I conduct a couple of major underwater photography workshops in some of the best diving locales on the planet. Typically I conduct them either on a liveaboard or at a resort that offers stunning photography opportunities, great photo facilities, and a great team of guides. Every year these are becoming increasingly popular as more and more folks want to learn the art of underwater photography. When conducting group workshops I often team teach with another photographer, this year is no different as my business partner Luca Vaime will be co-hosting this years Underwater Tribe Photo Extravaganza in North Sulawesi. Many folks ask us what to expect from our photo workshops so we have written this brief FAQ in order to address some of the more popular questions. Please read on to learn more about our workshops and what they offer to potential guests. 1. Who are the workshops aimed at? All of our workshops are great learning experiences for both new photographers as well as those who don’t get the chance to shoot very often who are looking to brush up on their skills. They are also very informative for photographers who have more experience as we often discuss many “advanced techniques” during the course of our workshops. 2. I am a brand new photographer, are the lessons too advanced for me? No! 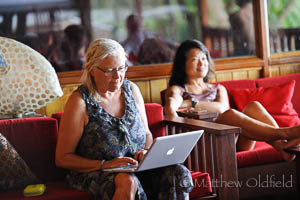 In fact, our workshops always start from the basics and then proceed onto more advanced techniques throughout the week. If anyone is having trouble with certain ideas we are always willing to sit down one on one to ensure everyone understands the theory involved. 3. I understand the basics but I would like to know more advanced techniques, what can I learn from the workshop? Everyone can benefit from an overview of basics about f-stops and shutter speeds from time to time as well as expand their knowledge about composition techniques. For more advanced shooters, the greatest benefits include one on one time underwater with the instructors, one on one image review, and the chance to discuss images with a group of like minded photographers. Also, in our “Taking it to the Next Level” workshops we discuss a lot of different techniques such as snooting, blue and black backgrounds, effective modeling, WB and filter photography, Playing with Light, split photos, and a host of other interesting techniques that go beyond the basics. Having the instructors with you underwater is a huge benefit when it comes to helping learn to aim snoots or taking split photos. 4. 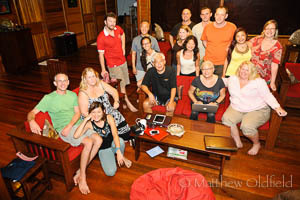 I like wide-angle photography more than macro, should I attend the Lembeh workshop? Yes! Lembeh has some very under rated wide angle dives such as California Dreaming and Angels Window, also, the close focus wide angle opportunities in the Strait are outstanding with creatures such as frogfish, stargazers, mimic octopus, coconut octopus, and many others almost tailor made for a wider lens. Also, we will start the workshop discussing f-stops and shutter speeds, which will certainly help learning to light wide-angle photos properly. 5. 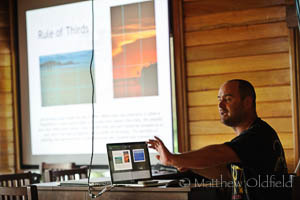 I am a bigger fan of macro photography rather than wide angle, should I attend the Bunaken workshop? Most definitely! The Bunaken National Park is a very under rated macro photography destination with a wide variety of great critters found on the walls of the islands. In the afternoons we will be diving a lot of the reefs on the mainland, which feature great macro critters as well as healthy reefs. Nudibranchs, frogfish, pygmy seahorses of all varieties such as bargibanti, denise, and pontohi are more common here than they are in Lembeh! 6. Will the Bunaken Workshop theory only discuss Wide Angle techniques? Certainly not, our Bunaken workshop is not a “wide angle” workshop but rather a “Taking it to the Next Level” workshop instead. We will start with discussion about f-stops, shutter speeds, and strobe positioning for wide angle photography and then continue with discussions about different lighting techniques, working with models, manual white balance and filter photography, and the art of the background. A lot of these discussions are relevant for both wide angle and macro photography. Also, the instructors provide one on one time underwater as well as in the classroom so it’s up to each student what they would like to discuss and learn during their personal instruction time. 7. What is the role of the instructor during the dives? Will I have any one on one time with the instructors underwater? Most definitely! We pride ourselves on spending time with our participants both above and below the surface. Everyone will have the chance to spend a full dive with each instructor throughout the course of the workshop. Our instructors carry slates underwater, not cameras. This way they can communicate effectively with you underwater in order to help with camera settings, strobe positioning, and any other issues that may happen during the dives. 8. I enjoy having my photos critiqued after a day of shooting, will this be available? Yes, each day of the workshop the instructors make themselves available for one on one critiquing and questions before dinner. 9. Will there be anything other than classroom talk throughout the week? Of course, we like to provide a lighthearted yet educational vibe throughout the week. We will show entertaining slideshows and videos in the evenings as well, and set aside enough time for everyone to work on their cameras and photos as well as have some down time. 10. I don’t have a dive buddy who can accompany me; can I join on my own? Of course, we will be diving with very small groups and plenty of dive guides so the ratio of people to instructors and guides is very favourable. 11. Do I need a laptop? A laptop is preferred for each participant; also, a copy of Adobe Lightroom is a very good tool to have during workshops as we discuss this program for editing. 12. I only have a compact camera, can I still participate? What is the minimum camera equipment needed in order to gain the most from the workshop? Of course! We welcome everyone with a camera who is willing to learn more about photography. Many compact cameras have manual controls such as the Canon G and S series and they work exactly like SLR cameras so the theory we teach works with all cameras. However, we would suggest that a macro diopter and one strobe are a very good investment to look into before joining a workshop. A second strobe and a wide-angle adaptor are also great investments but one strobe and the macro diopter are the perfect way to start. 13. What does the typical day of the workshop entail? The workshops start with a nice breakfast and two morning dives with snacks and drinks served on the boat. After the second dive we return to the resort for lunch followed by a theory lesson presented by one of the instructors. We will then head out on the third dive of the day and when we return the instructors host “open sessions” which is the best time for students to have their images reviewed and ask questions directly of the instructors. After dinner the instructor will present either an entertaining slide show or else continue with more theory presentations. 14. Will I receive any course materials? Yes, everyone who participates will receive a full set of the presentations to keep; PDF is the format for these. 15. 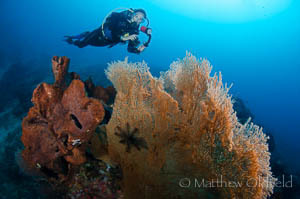 Is the photo workshop suitable for open water divers? Yes, our courses are suitable for all levels of divers. However, we ask that anyone who is starting on the path of underwater photography to have good buoyancy skills before starting photography. 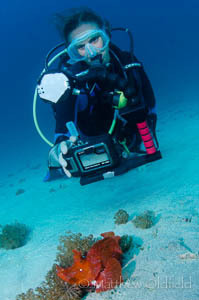 Carrying a camera underwater and trying to get close to subjects close to fragile corals is not an easy task and good buoyancy skills are a must before using a camera underwater. 16. Will I have internet access? I have to follow up with my job back home and stay in touch with family. Yes, both NAD and Thalassa have internet access. However, due to their remote locations it’s not as fast as internet in first world nations, therefore, uploading large files and downloading videos and YouTube is not possible. However, emails, web browsing, and Facebook are all readily available. 17. 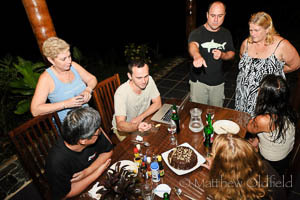 How far is Bunaken from Lembeh? The transfer between NAD and Thalassa will take around 1.5 – 2 hours depending on traffic conditions.